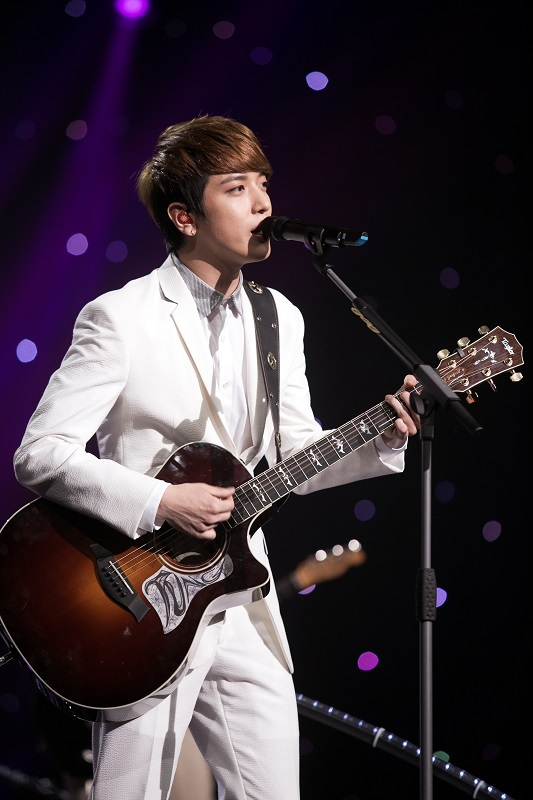 Jung Yong-hwa, the main vocalist from the popular K-pop band CNBLUE, will head to Los Angeles this month to sing the South Korean national anthem at the Dodger Stadium. Jung is slated to deliver the national anthem as part of the “Korea Night” event, organized by the Korea Tourism Organization, during a baseball game between the Los Angeles Dodgers and the Cincinnati Reds on May 27. The event will be attended by Park Chan-ho, South Korea’s first-ever U.S. Major League Baseball player, and Dodgers pitcher Ryu Hyun-jin, who recently earned himself a moniker as the “Korean Monster” for his impressive pitches. Ryu has close ties with CNBLUE and Jung. Last month, the baseball star chose “Ryu Can Do It,” a rearrangement of CNBLUE’s single “One Time” written by Jung, as his official theme song for the new season. At the May 27 game, veteran baseball player Park will throw the ceremonial first pitch in support of his junior compatriot player Ryu. As part of the “Korea Night” event, the first 50,000 visitors to the stadium will receive a free bobblehead doll of Ryu. The evening will also include a taekwondo performance, a raffle for plane tickets, as well as opportunities to view South Korean advertisements.